The next door neighbor boys growing up, Jeff and Joe, first introduced me to The Legend of Zelda when I was six years old. I remember their shiny golden NES cartridge; I also remember my Mom not letting me play the game due to its villain being referred to as the “Prince of Darkness”. Little did I know that seventeen years would go by before I’d ever touch another game in the series again. 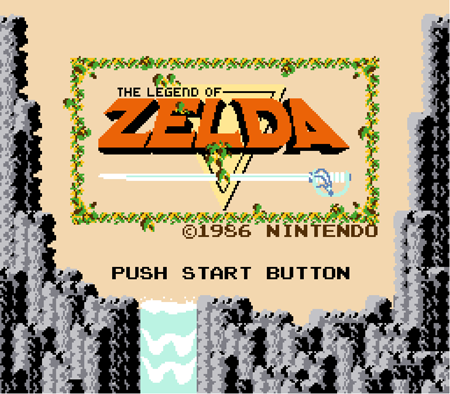 The Legend of Zelda: Ocarina of Time was really my first Zelda game. I was terrible at it. Eventually I’d have a friend come over and help me beat it. In fact, I told him to get to the last boss and then just let me play. Tom Sawyer would have been proud. My friend ended up playing through the entire game and did come and get me to play the end…after he had played it through. I remember the final boss battles being spectacular. Especially the one that took place on the floor that you could fall through. Using the hook-shot to climb back up to where Ganon was standing was very Batman-like. The scope and size of the Nintendo 64 entry to the series was simply awesome at the time. The music is beyond memorable. In college, I met the woman who is now my wife. One of my evil ploys was to get her into playing video games. So, in addition to buying her a Nintendo DS, I also left my GameCube at her house for awhile. Turns out, she really liked The Legend of Zelda: The Wind Waker. I have fond memories of playing through Niko’s Pirate Challenge with her. 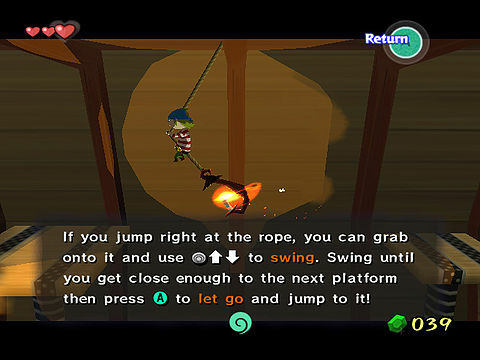 Nothing like swinging on lanterns to prove your pirate mettle. All of the above makes me realize that I have never truly beaten a Zelda game. Sure, I have played a good portion of them but never have technically beaten one. Odd. Found a marketing video from Nintendo this morning that shows a guy playing Zelda games throughout the various stages of his life. Reminded me of how the Zelda series has always been a part of my life. With The Legend of Zelda: Skyward Sword coming out soon, I have no doubt that it will continue to follow me through my adult years. I like how the “dad” at the end of the commercial looks so nerdy. Wally Cleaver anyone?